Hedge Fund Test: Are YOU Smarter than a Chimp? Please put a check mark by the letter you choose or write it down next to the number of the question. 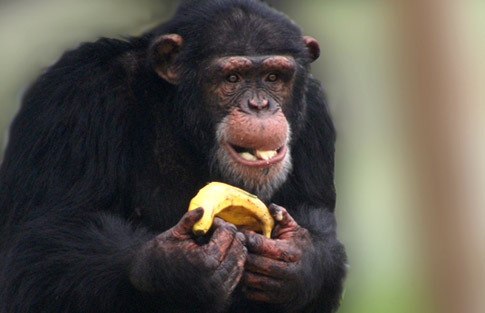 You will be compared to a Chimp who—on each question—will be thrown bananas labeled A, B, or C.
The Chimp will answer correctly about 33% of the questions. In all low-income countries across the world today, how many girls finish primary school? Where does the majority of the world population live? In the last 20 years, the proportion of the world population living in extreme poverty has…. What is the life expectancy of the world today? There are 2 billion children in the world today, aged 0 to 15 years old. How many children will there be in the year 2100, according to the United Nations? The UN predicts that by 2100 the world population will have increased by another 4 billion. What is the main reason? C. There will be more very old people aged 75 and older. How did the number of deaths per year from natural disasters change over the last hundred years? How many of the world’s 1-year-old children today have been vaccinated against some disease? 9 World-wide, 30-year-old men have spent 10 years in school, on average, how many years have women of the same age spent in school? 10 In 1996, tigers, giant pandas, and black rhinos were all listed as endangered. How many of these three species are more critically endangered today? 11. How many people in the world have some access to electricity? Email: Aldridge56@aol.com with the subject heading: CHIMPS and I will email you the answers. Did you beat the chimps? I wonder if this crowd could beat the chimps? Bets? This entry was posted in YOU and tagged Biases, chimps, Factfulness. Bookmark the permalink.